Probably the biggest watch-related news of 2017 was the record-breaking sale of Paul Newman’s very own, Paul Newman Daytona, which recently sold for an unparalleled $17.8 million. Paul Newman’s personal watch is a bit of a unique case, and as such, commands an unrivaled premium; however, any “Paul Newman” Daytona will sell for multiple times what an otherwise identical, Daytona chronograph could fetch on the open market. So, what exactly makes a Paul Newman a Paul Newman? So what exactly defines a Paul Newman? So What Exactly Is a Paul Newman? The simple answer is to this question is the dial of the watch. 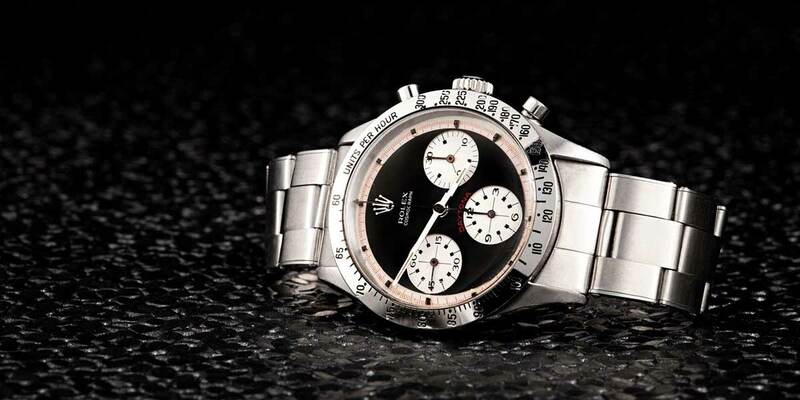 The “Paul Newman” designation can account for tens to even hundreds of thousands of dollars in resale value; however, the only thing that makes a vintage Daytona a “Paul Newman” Daytona, is the exotic dial that Rolex fitted to the watch. The most obvious defining characteristics of Paul Newman dials are their stepped, contrasting minute track rings, and the art-deco style font that is used for the numerals on their sub-dial, chronograph registers. Additionally, the hour markers on a Paul Newman dial are shorter than those on a regular Daytona dial and appear as small blocks with luminous dots placed at the ends, which sit within the contrasting-color minute track ring. Here is a Daytona Paul Newman 6239, with three colors. While all Paul Newman dials have their chronograph registers and minute track rings in contrasting colors, certain examples also featured their minute track markings in a third color, often red, for an even bolder and sports-oriented appearance. These triple-color Paul Newman dials, like the one fitted to Mr. Newman’s personal watch, added a subtle splash of bright color to the face of the Daytona and helped enhance the slightly unconventional appearance of these exotic dials. At the time of their release, these exotic, Paul Newman dials were not very well received. Most customers preferred the appearance of the traditional Daytona dial, and as a result of their poor sales, many Daytona watches with exotic dials sat unsold for years on dealer shelves, or had their dials replaced during a subsequent servicing. This is the very watch that Paul Newman wore himself. Additionally, due to their initial lack of desirability, these exotic dials were manufactured in much smaller numbers than the traditional Daytona dials throughout the years of their production. 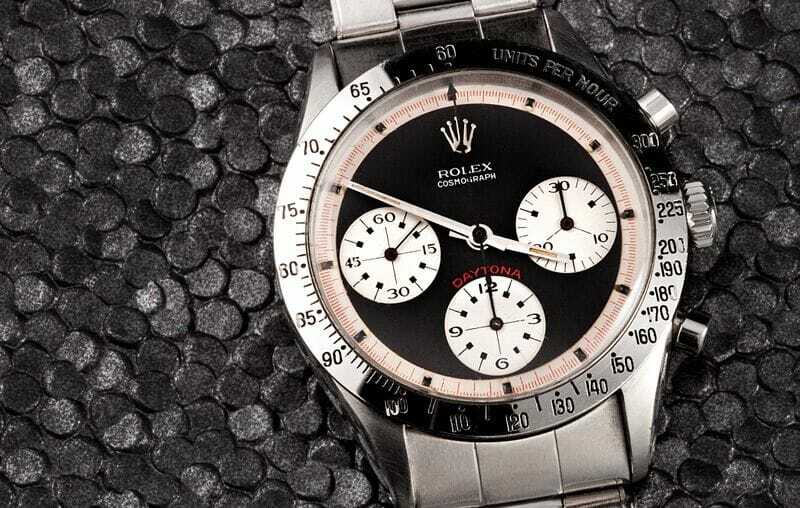 Although unconfirmed, it is estimated that roughly twenty regular Daytona dials were produced for every one exotic dial, and many of those exotic dials are no longer still in existence today. No other watch in history has attained such mind-boggling levels of value and collectability as the Paul Newman Daytona. 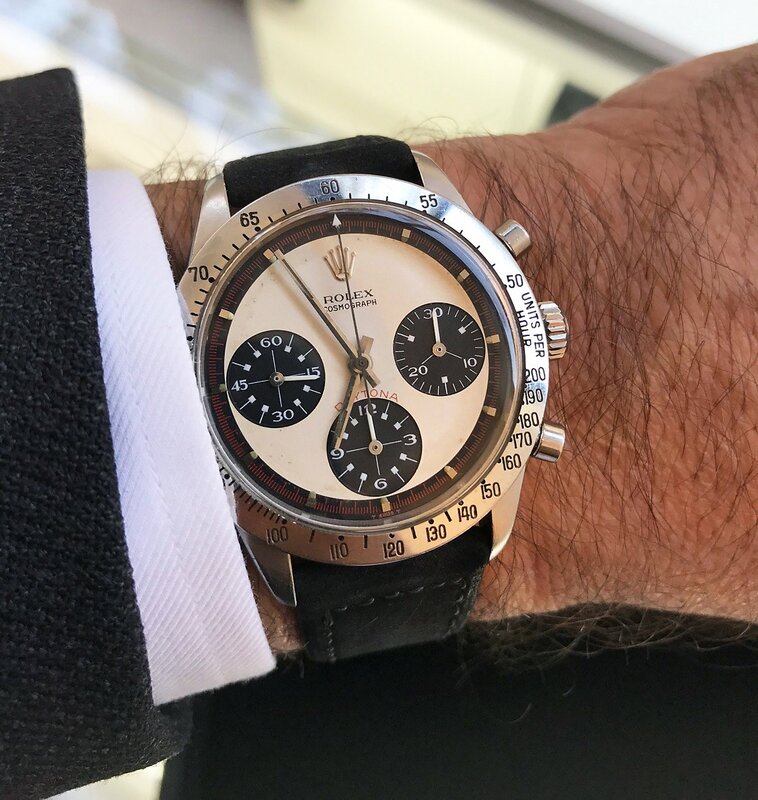 While they initially were regarded as undesirable releases that would linger for years on dealer shelves, these exotic dial Daytona chronographs would go on to become some of the most valuable and collectible wristwatches on the planet. While a Paul Newman may just be a vintage Daytona with an exotic dial, it is now among the most desirable watches in the world and is credited as being the timepiece that jump-started the entire vintage Rolex collecting market that is so alive and strong today.